India will guide the BRICS nations\' $50 billion New Development Bank - a rival to the World Bank - to finance \"inclusive and responsive\" needs of particularly emerging economies, Prime Minister Narendra Modi said. Antalya : India will guide the BRICS nations' $50 billion New Development Bank - a rival to the World Bank - to finance "inclusive and responsive" needs of particularly emerging economies, Prime Minister Narendra Modi said. BRICS nations -- Brazil, Russia, India, China and South Africa – on Sunday reviewed the progress made in setting up of the New Development Bank as well as a $100 billion liquidity reserve fund as the emerging economies seek greater voice on the world stage. The meeting took place ahead of the Summit of leaders of the 20 biggest economies of the world (G20) here. The grouping discussed the progress made in setting up the New Development Bank, with an initial capital of $50 billion, to meet financing needs of emerging economies. India has got the first presidency of the China-headquartered bank. "India attaches the highest importance to BRICS. We are honoured to assume the Chairmanship of BRICS from February 1, 2016 and build on the great work done by other Members," Modi said in his opening remarks at the BRICS meeting here. "The theme of India's BRICS Chairmanship will be 'Building Responsive, Inclusive and Collective Solutions' which, in short, will be 'BRICS'. It aptly describes the ethos of our group." 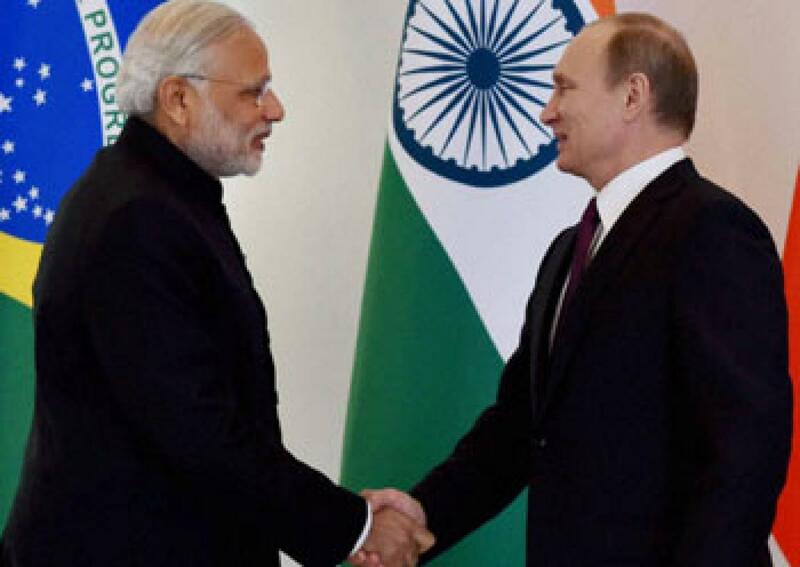 Modi, Russian President Vladimir Putin, Chinese President Xi Jinping, Brazilian President Dilma Roussef and Jacob Zuma of South Africa met ahead of the G20 Summit here to review progress made by their five-member grouping, called BRICS. "There was a time when the logic of BRICS and its lasting capacity were being questioned. We have provided proof of the relevance and value of BRICS through our actions. And, this has come at a time of huge global challenges," Modi said in his opening remarks at the meeting. Kundapur Vaman Kamath, 67, a former head of India's largest private bank, ICICI Bank, has been appointed president of Shanghai-headquartered bank. It plans to issue its first loans, yet to be agreed, in April. "The New Development Bank, the Currency Reserve Arrangement, Strategy for BRICS Economic Cooperation - these are clear evidence of our vision and our resolve. Together, we can also give shape to G20," Modi said.